Give the Victory Wrestling Plaque to your favorite wrestler or coach! 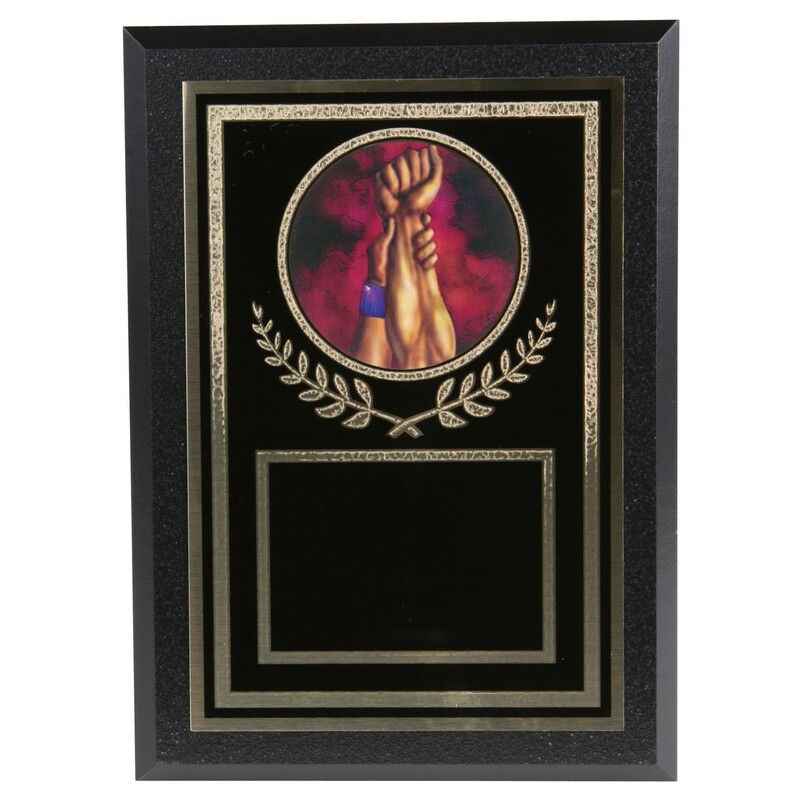 It features a black plaque with a black brass plate with gold accents. The center of the plaque highlights a holographic wrestling image trimmed with a Florentine border. Plaque measures 7 inches tall by 5 inches wide; includes 4 lines of engraving. Production time for this product is 1 business day(s); expected pickup or shipping date is 04-29-2019. If you are a professional graphics designer and would like a template or dimensions for a particular item, please email [email protected]go.com with your request. Please include the product number(s) and any other pertinent information.